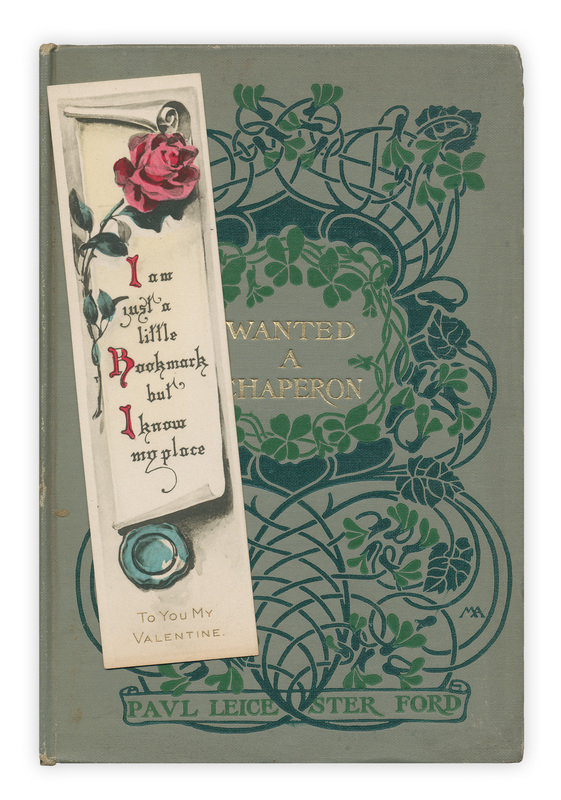 Reverse side of the bookmark has written in pencil "Mrs. Whipple - 1914." Found in "Wanted a Chaperon" by Paul Leicester Ford. Published by A.L. Burt, 1902. This is so beautiful. I collect old bookmarks and live in Australia. I can't enter your old books competitions (because I know they would be exorbitant to send)and was wondering if, every now and again, you might have a bookmarks competition instead. These are some of the bookmarks I have collected.